One of the worlds wealthiest people, billionaire Ray Dalio founded one of the largest hedge funds in the world, Bridgewater Associates, back in 1975 out of his two-bedroom apartment. Although he was only 26 years old when decided to start his own investment firm, his enthusiasm for investing had been evident for a long time. 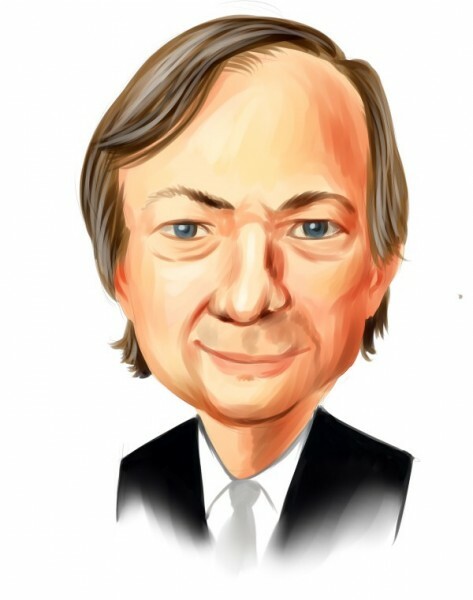 Dalio bought his first stock, from the money he earned as a caddy, when he was just 12 years old. It makes sense he got hooked on investing, as his first shares tripled in value. Prior to founding Bridgewater Associates, Ray Dalio worked at Shearson Hayden Stone, a brokerage company, where he was trading futures. Before joining Shearson, Dalio worked at Dominick & Dominick LLC and at the New York Stock Exchange as a clerk. He earned a Bachelor’s degree in Finance from Long Island University (CW Post) and an MBA from Harvard Business School. Bridgewater Associates employs several investment strategies, and there are a few that the fund developed. One of those strategies is known as “risk parity”, which was first introduced through its renowned All Weather fund. Some of its funds have performed very well in recent years, while others have witnessed fluctuating returns. Its All Weather @ 12% fund lost 4.61% in 2013. The next year it returned 8.58%, only to have another down year in 2015, when it lost 8.36%. It improved its performance in 2016 with a return of 11.61%, jumping to 13.09% in 2017. 2018 appears to be on the verge of disappointment, as the fund had lost 0.80% through October 29. All Weather @ 12% had a total return of 445.96% and a compound annual return of 7.9%. Its worst drawdown was 32.26. Its Pure Alpha Fund I has had more stable performance in recent years, though also underwhelming performance. It returned 3.46% in 2013, 2.48% in 2014, 3.34% in 2015, 2.00% in 2016, 1.25% in 2017, and 1.93% in 2018 (through October 29). Pure Alpha Fund I has delivered a total return of 822.08% and a compound annual return of 8.63%, while its worst drawdown was 14.18. Bridgewater Associates has around $160 billion in assets that it manages for around 350 big institutional clients, which count pension funds, central banks and university endowments. On September 30, Bridgewater Associates’ 13F portfolio was valued at $9.65 billion. The fund made many changes to its holdings during the third-quarter, adding 64 new positions and dumping around 170 companies. Among the stocks in the fund’s portfolio are some of the 25 Stocks Billionaires Are Piling On, such as Alliance Data Systems Corporation (NYSE:ADS), in which the fund boosted its stake by 8% in Q3 to 99,167 shares worth $23.42 million. More about the fund’s investment moves in the third-quarter you can find on the next page.